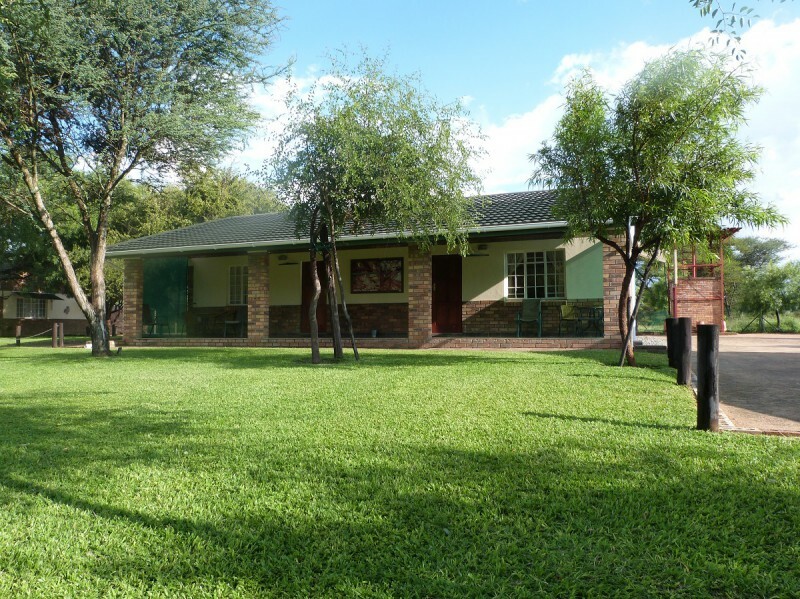 Beautiful accommodation in Francistown just 10km north off A3 Nata/Maun Road. 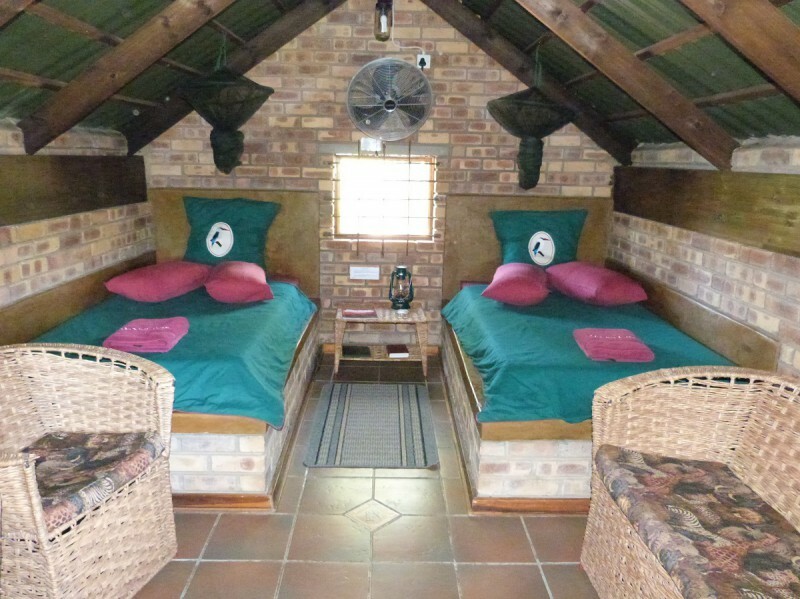 Presenting a luxury 4-bed self-catering cottage, 8 beautiful en suite self-catering river view rooms, 6 quaint chalets, 1 deck room, together with 5 lawned and 4 bush campsites. Immaculate ablutions. Sparkling pool. Delicious homemade pre-prepared meals. It's tranquil, out of the noisy city, location makes it an ideal destination for a few days or a quick stop over en-route to the Okavango Swamps, Chobe Game Reserve, Central Kalahari, Makgadigadi Pans, Botswana National Parks, Victoria Falls & other northern Zimbabwe destinations. 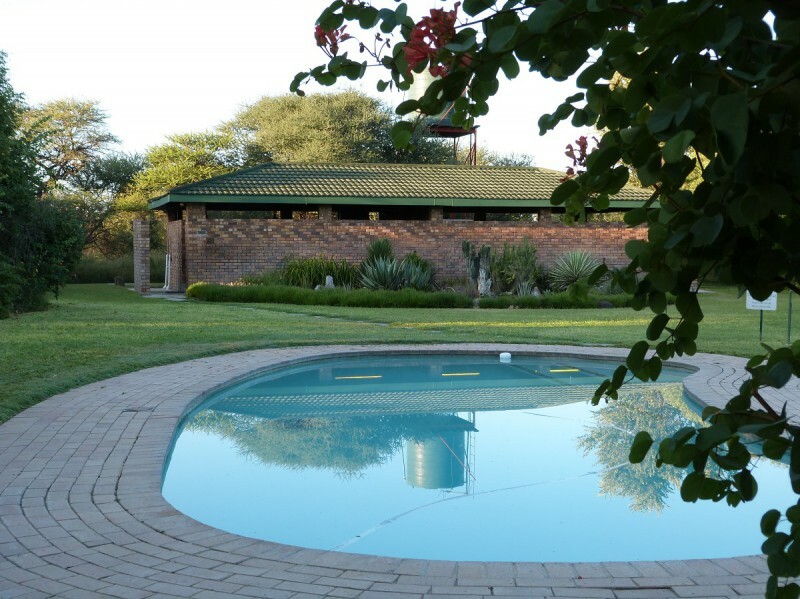 Situated on the beautiful banks of the Tati River about 10km north of Francistown off A3 Nata/Maun Road. 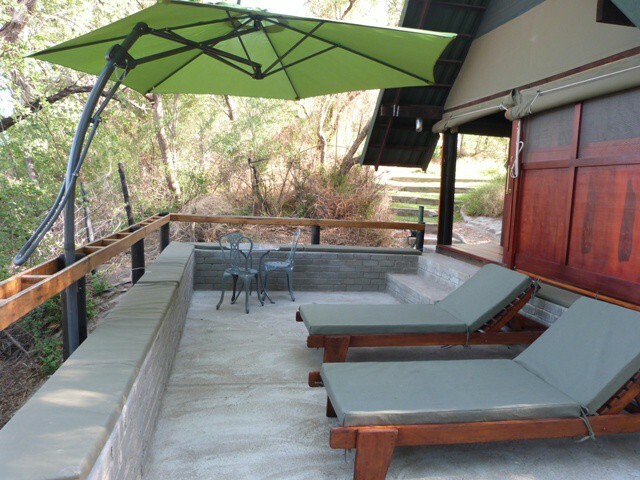 This is our premier accommodation nestled amongst the trees along the beautiful banks of the Tati River. Sleeping four in two separate en-suite rooms (bath, shower and toilet) with two three-quarter beds in each room. Clean crisp linen is provided. It has all the facilities of a tastefully furnished home. There is a spacious well-equipped kitchen with complimentary tea and coffee. A dining room and homely lounge with fire place. A beautiful large veranda offers space and privacy with views of the river. 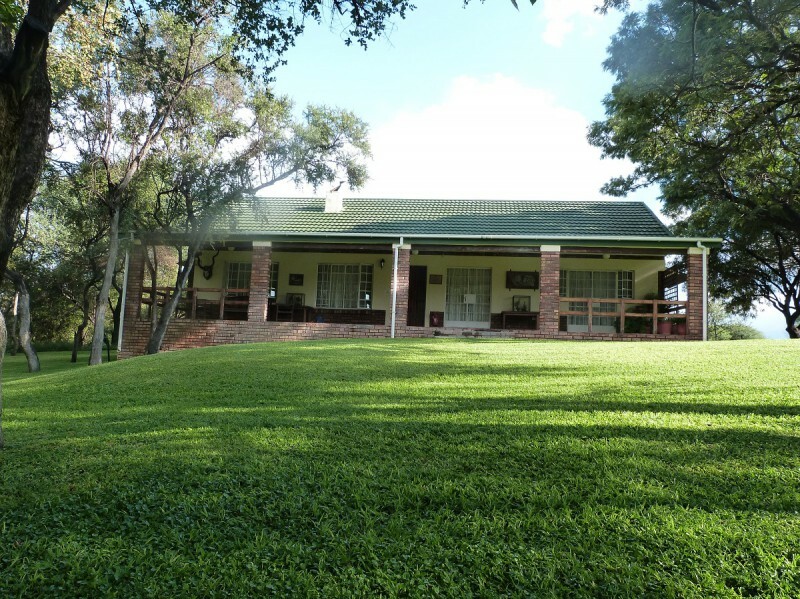 There is a private secluded braai area on the front lawn also overlooking the river. A breakfast basket is available on request. "Mike's Meals", pre-prepared, are available from reception for your convenience and can be heated in your facility. Private secure parking is adjacent to the cottage. These rooms all overlook the Tati River and are beautifully furnished and decorated. 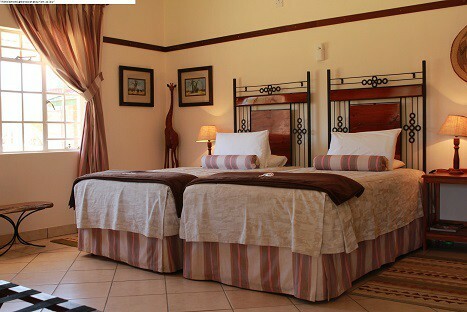 They have comfortable three-quarter beds with crisp clean linen and en-suite facilities (shower and toilet). They have a kitchenette complete with fridge, microwave & all kitchen crockery and cutlery, fully equipped for self-catering. 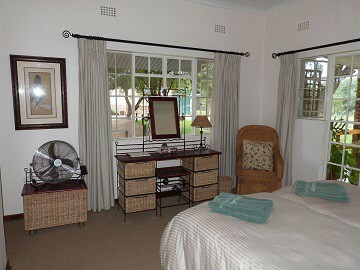 The rooms are fitted with fans for the hot months. Braai areas are situated on the front lawns close to the rooms. There is complimentary tea and coffee and a breakfast basket is available on request. "Mike's Meals", pre-prepared, are available from reception for your convenience and can be heated in your facility. 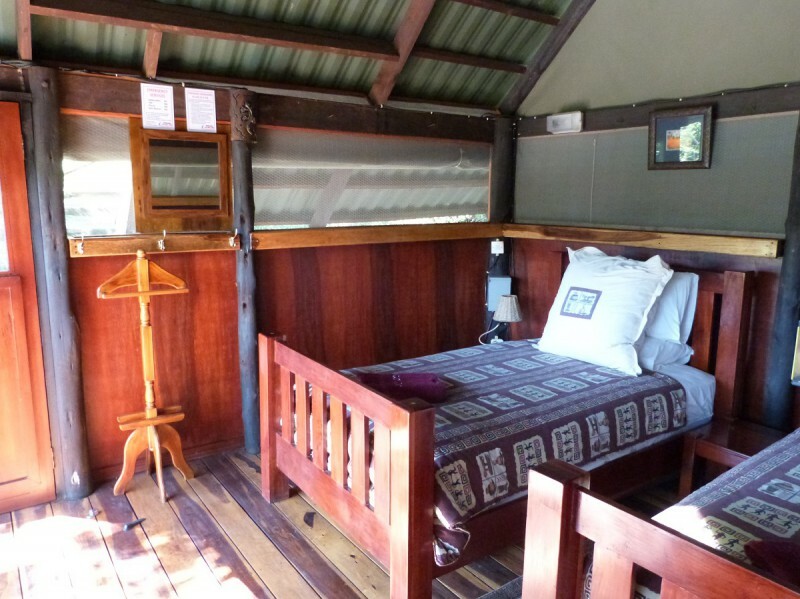 Nestled away at the bottom of the campsite and away from all the activity this beautifully furnished room takes on the full flavour of a deck cabin offering all the comforts of a room. 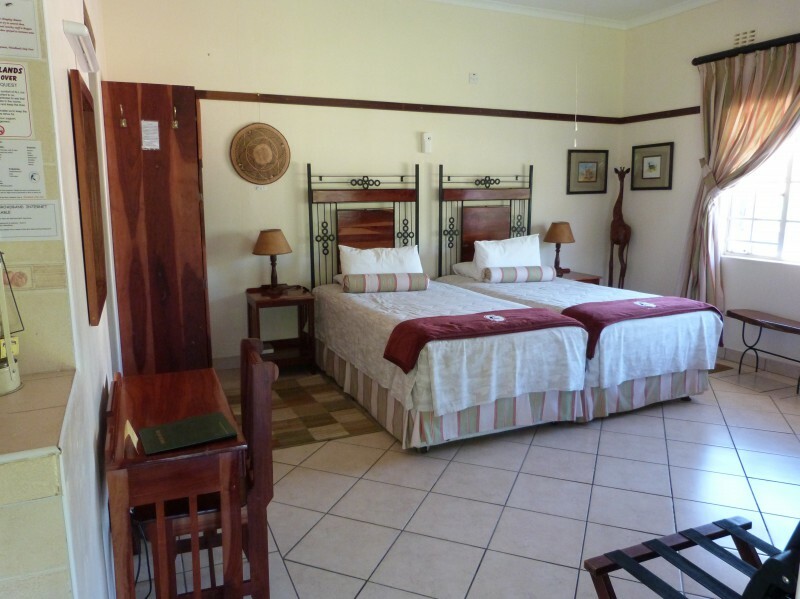 These limited self-catering units are tiled with two three-quarter beds in each. Linen is provided but they are NOT en-suite! 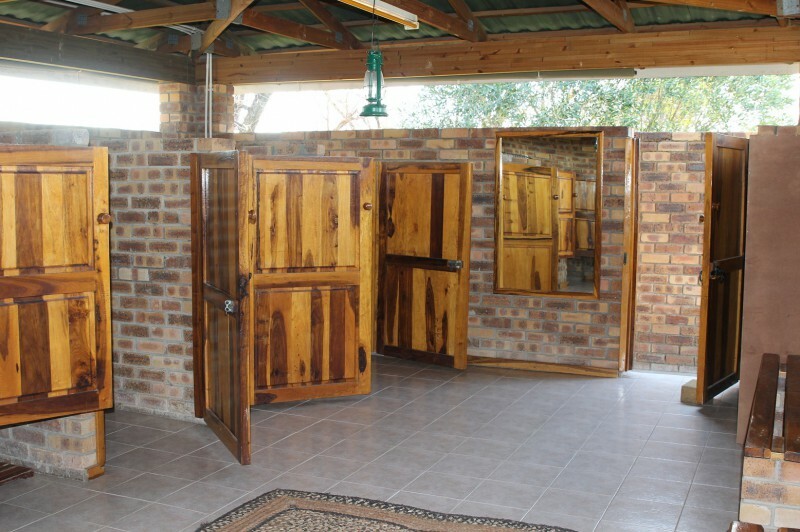 The shower and toilet facilities are shared in the immaculately clean ablution facility. There is only a kettle in the room for use with complimentary tea and coffee. The units do not have a fridge or any equipment/facilities for cooking. Only a private braai area in front of each unit. A breakfast basket is available on request. Private parking is adjacent to each room. 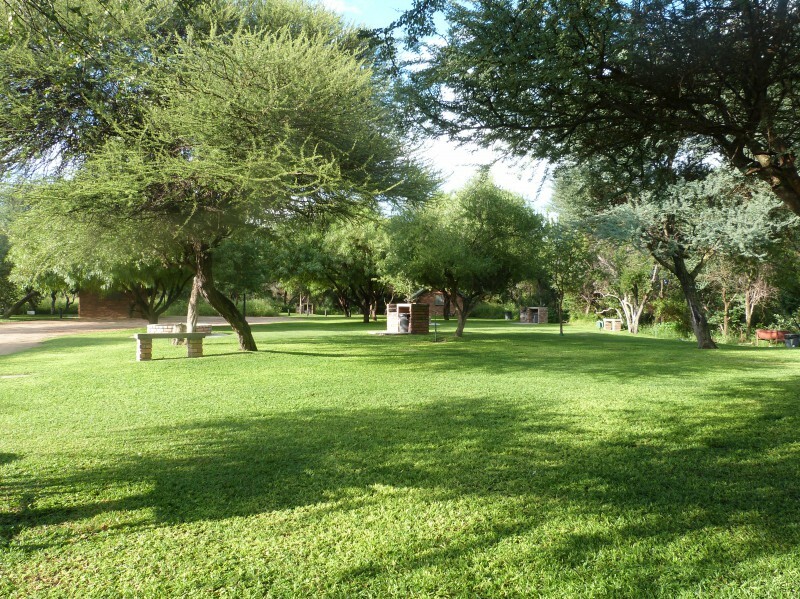 Our LAWNED CAMPSITES attract many compliments as do our beautifully clean & spacious ABLUTION FACILITY. 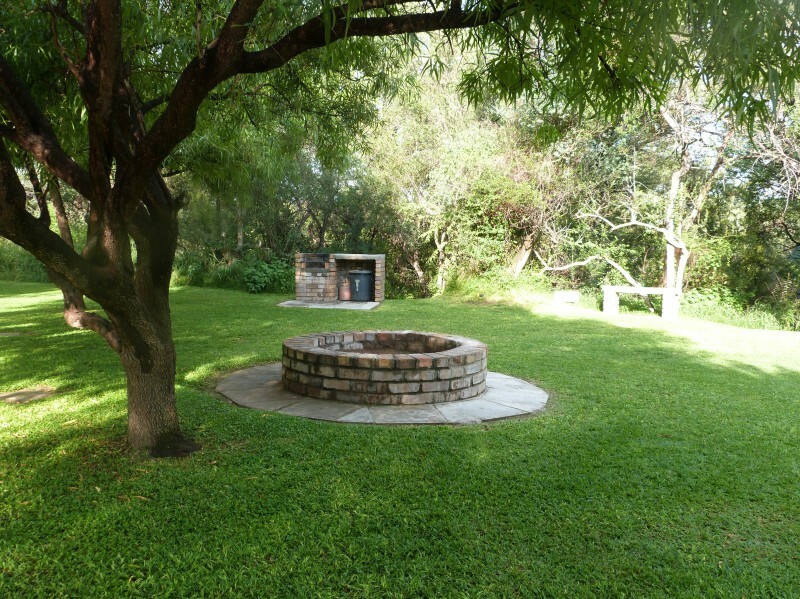 The shaded grassed campsites have individual braai sites. Power and water points closely available. Power points attract an additional fee as do off-road trailers and caravans. The separate (male/female) ablution facility is immaculate. 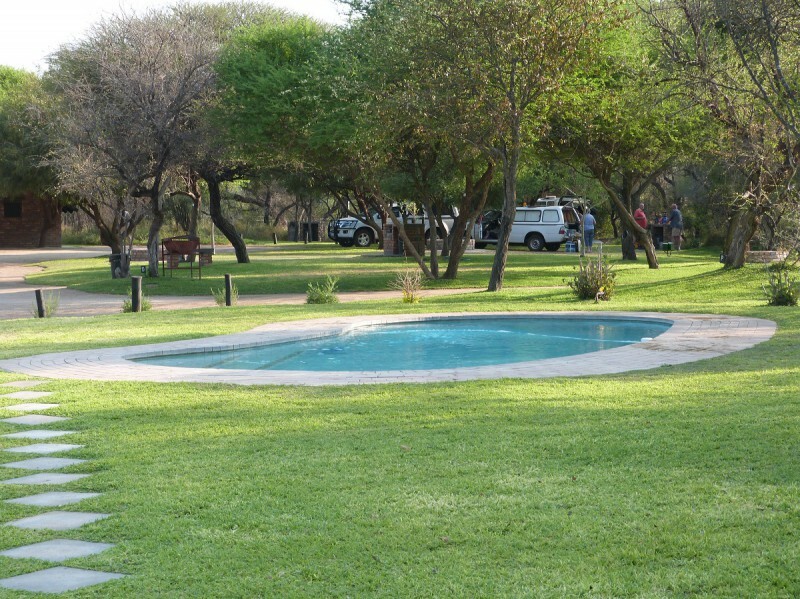 BUSH CAMPSITES are well kept but power will only be offered when requested at an additional rate. Woodlands is more than a stop over & we encourage you to stay a few days to really appreciate the ambiance of peace & tranquilty and watch the abundant bird life for which we are also well known.